I don’t make floral designs very often. 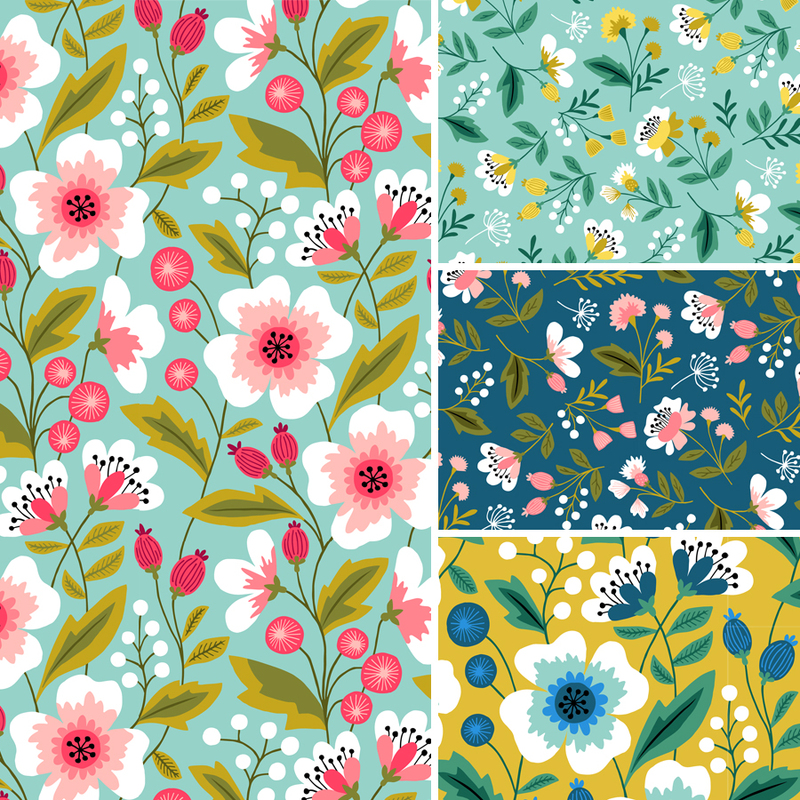 But this time I went totally crazy with so many different colorways of these colorful spring flowers. You can find all of them in my Spoonflower shop on fabric, wallpaper and gift wrapping.